I wasn't sure what to expect upon arriving at the Strawberry Festival. I hadn't been in my home state for years and I can't recall the last time I attended this festival. Before this evening, all I knew for sure was I love strawberries and country music, so I figured I could hardly be disappointed at a festival that showcases both. After all is said and done, I have to say it was no surprise that the strawberry shortcake was good and sweet but it turns out that so is the handsome gentleman from Murfreesboro, Tennessee. It isn't difficult to see why Chris Young was nominated for Best Male Country Vocal Artist at this years Grammys. I was impressed to see fans from four to eighty-four years old, singing along to Young's hits from his first, self titled album, and his sophomore titled album, "The Man I Want To Be", which landed him three consecutive number one hits, "Gettin You Home" "The Man I Want To Be" and the history making number one single "Voices," which also became the first country record, in twenty-five years, to make chart-topping status after being re-released. Young is off to a great start with the first single release from his new album. The beautiful ballad, titled "Tomorrow," was written by Young with Frank Myers and Anthony Smith. It's such a powerful song and listening to his deep baritone voice, and seeing the emotions in his face, while performing this song, brought tears to my eyes. I'm not afraid to go on record to say I predict this will most likely be his fourth number one hit. Young's obsession with music began at a early age. As a young child he was inspired by listening to his grandfather, one-time Louisiana Hayride performer Richard Yates, who would play piano and guitar at family gatherings. He is quoted on his website as saying, "For as long as I can remember, I told everyone I would be a country singer. I've always been sure that this was what I was going to do. I didn't know if I'd be successful, but I knew I would be singing, even if it meant doing it on the street with a cup in front of me. I love it that much." After seeing him perform tonight, I'm quite sure we won't be seeing the talented Young pandering on any street corners. After the show, as we walked near the back gate, he demonstrated what a sweet and caring person he is when a young handicapped girl, who had been waiting, along with several other vocal fans who hoped to catch a glimpse of their favorite artist, hollered out, "Chris! We love you! Please come to the gate. Please!" And he did. In fact, he signed numerous autographs and even took time to pose for pictures. For the second time tonight Young managed to bring tears to my eyes; first with his great songs and mellow voice and now as I watched how effortlessly, and willingly, he was able to touch the heart of a little girl. But then I guess I shouldn't have been surprised, after all, back in 2005 we weren't shy when we predicted he would be a superstar. 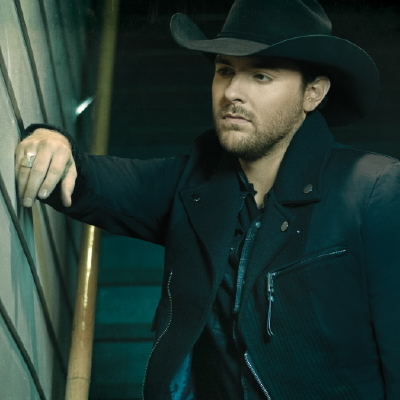 One of our album reviewers wrote, "His name is Chris Young. The name is easy to remember and the voice is impossible to forget." I couldn't agree more.